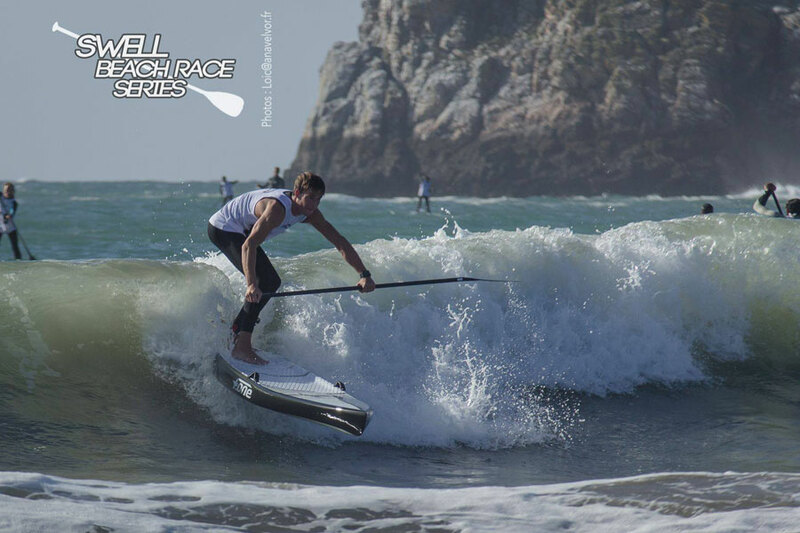 Stand Up Paddle racing continues to develop in Europe, and although May/June is the high season on The Continent there are races almost every weekend throughout the year, especially in hot-spots like France. 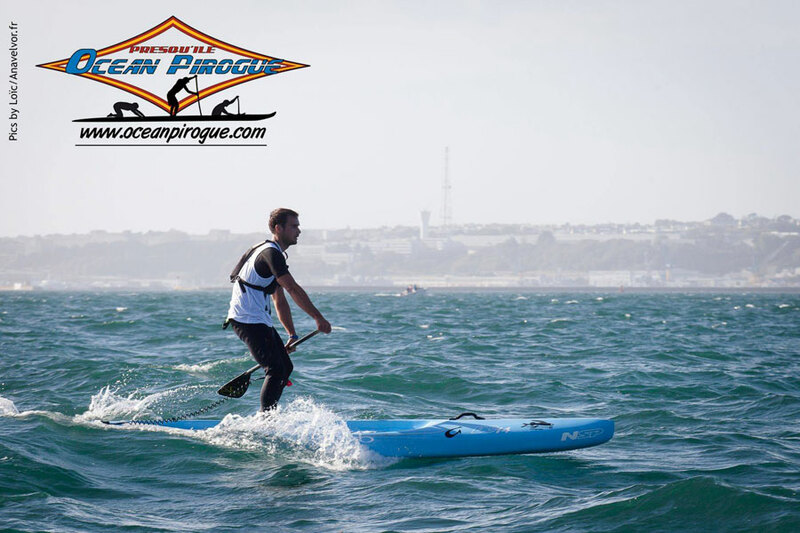 This was highlighted on the weekend when there were two separate SUP races on the West coast of the country: First up was the Presqu’île Paddle Race, followed the next day by the first leg of the new Swell Beach Race Series. 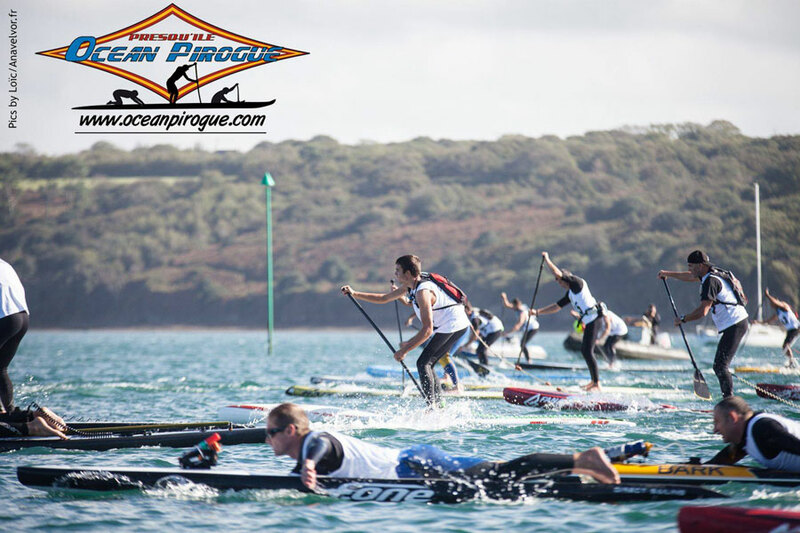 Plenty of France’s finest were on display in what was a good warm-up for the French National Titles, which are happening on the second weekend of November and will help decide who gets a ticket to Nicaragua 2014 for Les Bleus. 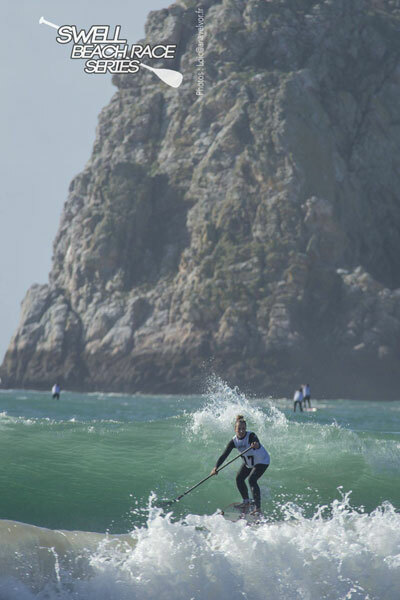 Crozon is known as one of France’s best spots for surfing, windsurfing and off course downwinding. 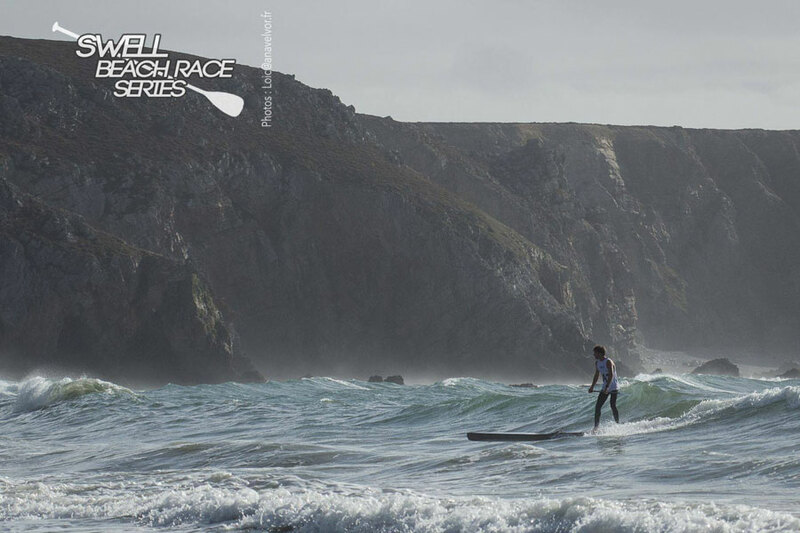 This year we had perfect conditions for the Long Distance race, which was a 14 km crossing between Crozon peninsula and Brest city. There were 20 to 25 knots full downwind. No buoys to turn around, just a straight line from start to finish. The SUP racers had to manage the strong current which made the race fun but also difficult as the current against the wind made it challenging with big bumps. 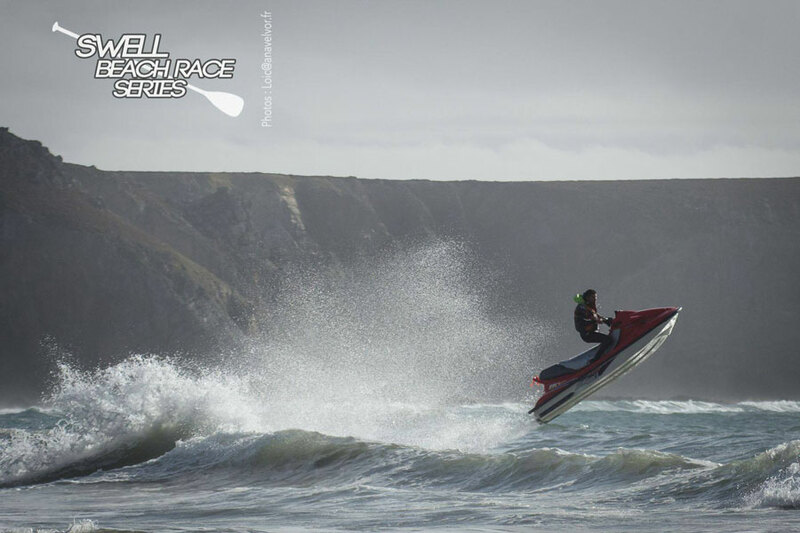 In the 12’6 division, Greg Closier came back after a 6 months break due to a hip surgery and got the win while Arthur Daniel the young gun killed it on his 14′ to claim the victory. Valerie Vitry won the ladies’ division on her 12’6. 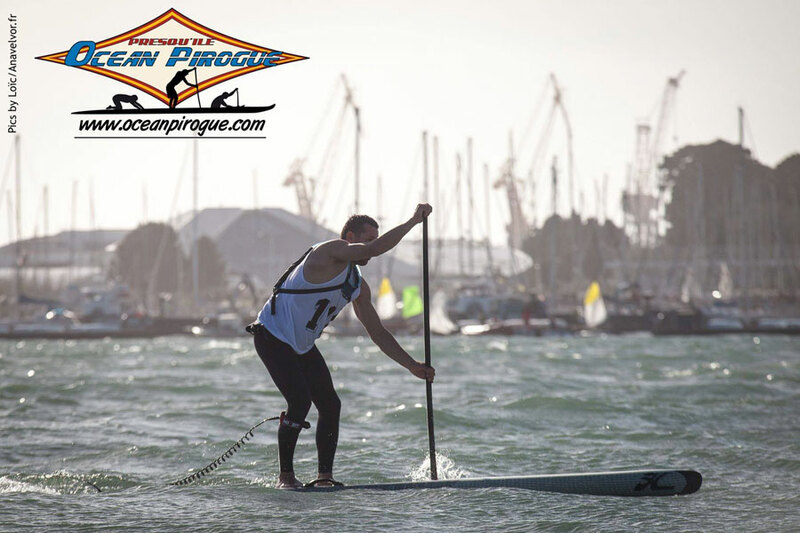 The organisation was amazing, with strong safety water patrol, welcoming people, cheap entry, good food and party, etc… It could have been a World Cup of SUP racing! 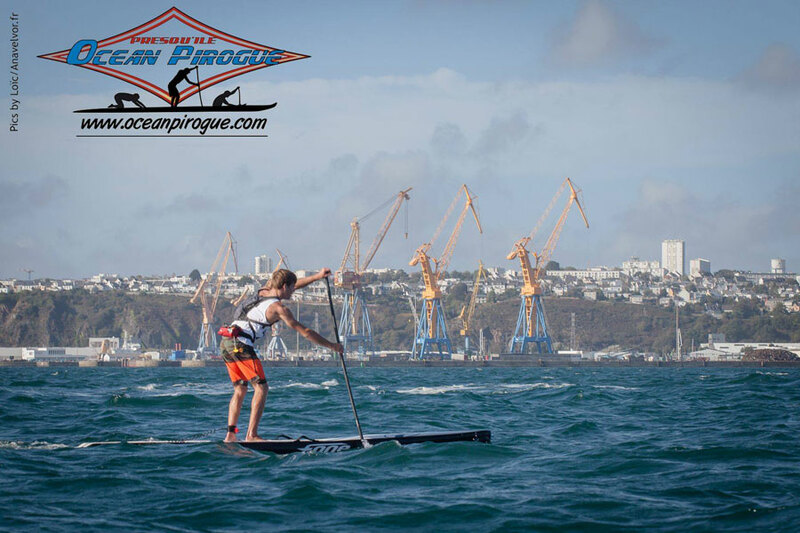 A brand new OC1 full carbon (from “WOO”) and a Fanatic 12’6 Falcon were on offer as well during the ceremony award. 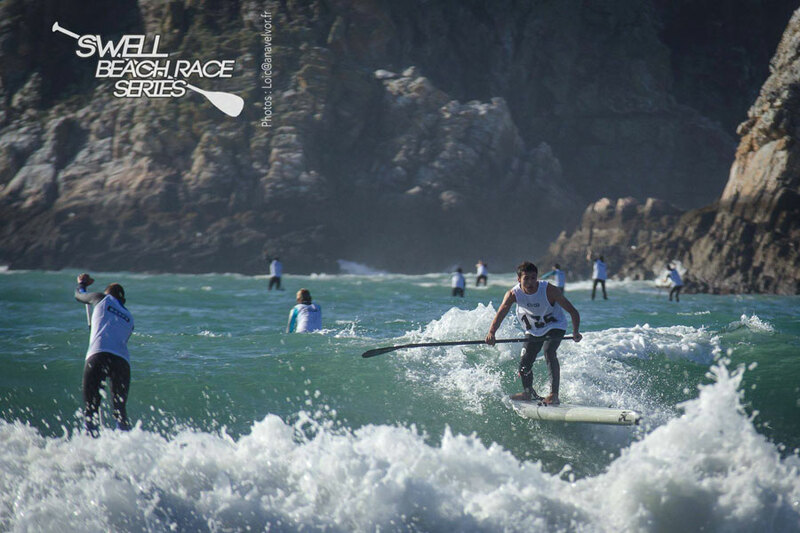 Then on Sunday it was time for the first stop of the Swell Beach Race Series. 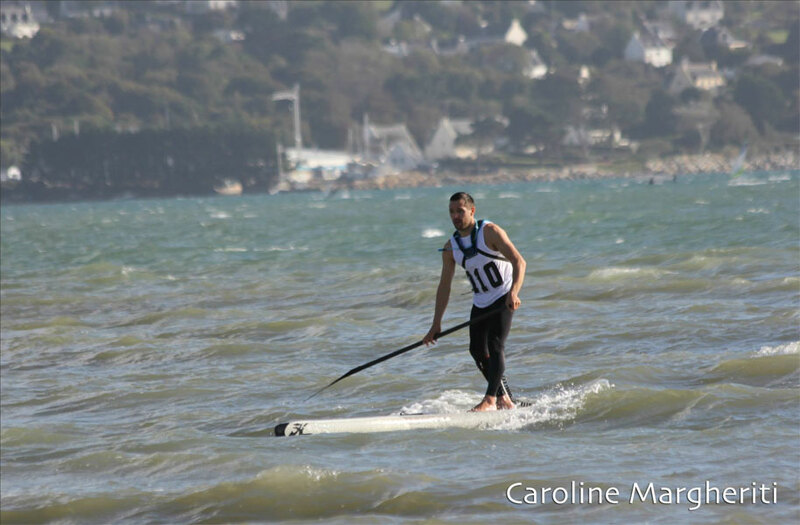 The conditions were hard, cold and windy but the waves made it really fun! Once again Arthur Daniel got the victory in front of another youngster Martin Letourneur. Scroll down past the pics for the full results. Photos copyright © Loic Olivier.